Douglas G. Menzies, for the applicant. Behrendt Law Chambers, for the respondent. ¶ 1 HACKLAND J.:— The principal issue in this motion is whether Cory Fulham, age 22 (Cory), (d.o.b. April 21, 1981), is a child of the marriage so as to be entitled to continuing child support. The applicant Donald Fulham (the father) seeks a declaration that Cory “was no longer a child of the marriage for support purposes as of July 1, 2001, and an order retroactively reducing child support accordingly”. ¶ 2 Lise Charron (the mother) seeks an order by way of cross-motion to vary the order of Métivier, J. dated November 2, 1998 to reflect appropriate levels of child support referable to the father’s income level since 1998. ¶ 3 Cory resides at home with his mother while he attends training as an apprentice auto mechanic. He has a younger sister, age 16, who also lives at home. His father separated from his mother in January 1990. Subsequently, during the period 1992 to 1998 the father cut off all contact with the mother and children, relocated to a place unknown to his former family and defaulted on his support obligations. He reappeared in their lives in 1998, by which time his child support arrears ($200.00 per month for each child) amounted to approximately $30,000.00. At that time, an agreement was reached reducing the arrears to $3,000.00, requiring repayment at a rate of $50.00 per month without interest, in addition to paying Guideline Support for the two children of $459.00 a month based on the father’s 1997 disclosed income of $28,915.00. This was incorporated into the said order of Justice Métivier. ¶ 4 Justice Métivier’s order directed the father to make annual disclosure of his income with a view to revising child support including contributions to the children’s section 7 expenses, as required. This obligation was ignored by the father. The mother’s notice of motion dated July 31, 2003 seeks a revision of the father’s support obligation as contemplated under section 2(j) of Justice Métivier’s order, as well as a declaration that Cory is a dependant child until he has completed the auto mechanic apprentice program in which he is currently enrolled. ¶ 5 In or about July of 2001 Cory began his current apprenticeship to become a qualified auto mechanic. The applicant father’s position is that Cory became self-supporting at that time and ceased to be legally entitled to child support. For the reasons outlined below, I agree with this submission. ¶ 6 The auto mechanic apprenticeship is three years in duration and is set up on the basis that the apprentice works for ten months of the year doing motor vehicle repair work in a garage and is paid for his work. Then, for two months, teaching is done in the sense of formal courses. Cory in fact received credit for his previous community college courses in auto mechanics and therefore he has only been required to take two courses thus far in his apprenticeship program. The apprentice normally contributes to Employment Insurance during the ten months working period and then collects benefits during the teaching portion (two months). The program is designed to allow the apprentice to be self-supporting. In Cory’s case, he is employed in his uncle’s garage and earns $10.00-$11.00 an hour for a work week of anywhere between 20-42 hours. In addition, he works weekends (16 hours) at a Canadian Tire garage at a rate of $7.25 per hour. His evidence is that he works about 36.54 hours per week. His gross income is about $20,000.00 annually. ¶ 7 It is instructive to examine Cory’s deductions from his gross income (see his 2002 “Statement of Professional Activities” for 2002 (volume 3, tab 11 of the C.R.)). In 2002 his income tax return identifies employment income of $5,084.00 and professional income of $17,295.00 (gross). Deductions from his gross professional income include $2,727.00 in respect of his automobile, $1,477.00 for his automobile insurance, $1,505.00 for maintenance and repair of his automobile, $654.00 for his meals and entertainment, $808.00 for “office expenses” and $5,200.00 for the purchase of tools. Cory has explained that auto mechanics must acquire their own tools and therefore he devotes a significant portion of his income to that purpose. The purchase of tools is properly viewed as a capital acquisition which should be depreciated rather than deducted from income. The other “deductions” are in the nature of personal expenses and are therefore questionable. In any event, I conclude that for the purpose of ascertaining entitlement to child support, Cory’s income is, as noted, in the $20,000.00 range. He is clearly self-supporting. I am satisfied on the evidence that Cory’s income has been and will be similar to his 2002 earnings throughout the balance of his apprenticeship. The mother has been providing Cory with free accommodation and meals. Her admirable commitment to Cory, in contrast to the father’s regrettable lack of commitment to him over the years cannot be the basis on which to decide whether Cory continues to be entitled to child support. ¶ 10 The father’s counsel Mr. Behrendt conceded that his client had slightly under paid child support in 1999 and 2000 due to income increases in excess of his salary of $28,915.00 earned in 1997 when Justice Métivier’s order was granted. This underpayment (totaling $60.00) will be set off against the overpayment of $4,283.00 resulting from the father continuing to pay child support for Cory from July 1, 2001 (when I have found that Cory ceased to be a child of the marriage), through March of 2004. This overpayment however must be reduced by the balance of arrears owed under the order of Métivier, J. ($551.92) and by a further sum representing the father’s appropriate share of the section 7 expenses for his daughter during the period 1999-2003, which I accept to be in the sum of $1,656.17 as setout on a calculation provided by Mr. Behrendt at the argument of this motion. Lastly, I allow Cory’s book purchase for his earlier community college program as a proper section 7 expense, in the sum of $322.65 (45% of $717.00). This creates a support overpayment on the father’s part of $1,692.26. ¶ 11 In summary, an order will issue declaring that Cory Fulham ceased to be a child of the marriage and was therefore disentitled to further child support from his father, Donald Fulham, as of July 1, 2001. 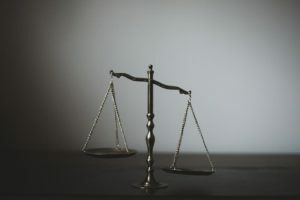 The father shall be entitled to set off his child support overpayment in the sum of $1,692.26 against his ongoing support obligation of $327.00 per month referable to his daughter, until the overpayment is repaid. ¶ 12 If the parties wish to make submissions as to costs, they may do so in writing within ten days of the release of this order. ¶ 1 HACKLAND J. (endorsement):— I have reviewed the costs submissions filed by counsel for each of the parties. The principal issue addressed in argument was whether Cory continued to be entitled to child support after the commencement of his apprenticeship. Mr. Fulham was successful on that issue and my order calculated a support overpayment that was more advantageous to Mr. Fulham than Mr. Fulham’s offer to settle served early on in this application. ¶ 2 In the circumstance noted the Respondant Mr. Fulham would normally be entitled to his costs and indeed costs on a full indemnity basis subsequent to his offer to settle served August 25, 2003, (see Rule 18 (14) of the Family Law Rules). However, the Court has a wide discretion with respect to costs and I believe the interests of justice are served by awarding Mr. Fulham costs on a partial indemnity basis only. ¶ 3 The applicant Ms. Charron has assumed full responsibility for the parenting of the parties’ two children, with no help from Mr. Fulham. She was owed support arrears in the sum of $30,000.00 which she forgave, as an accommodation to Mr. Fulham. He then failed to comply with the terms of the Order of Métivier, J. concerning financial disclosure with the result that Ms. Charron did not know where she stood and therefore reasonably commenced this Application. In the circumstances Mr. Fulham’s ultimate success on the motion should not relieve him from the responsibility of paying some of the legal costs he has incurred. ¶ 4 I order that the Applicant Ms. Charron pay the Respondant Mr. Fulham’s costs on a partial indemnity basis, fixed in the sum of $4,500.00.